I love maps. I have about as many maps on my walls as everything else put together. I have a massive topographic map of our county on one wall, the map from the game Oblivion on another, and other smaller ones scattered around the room. 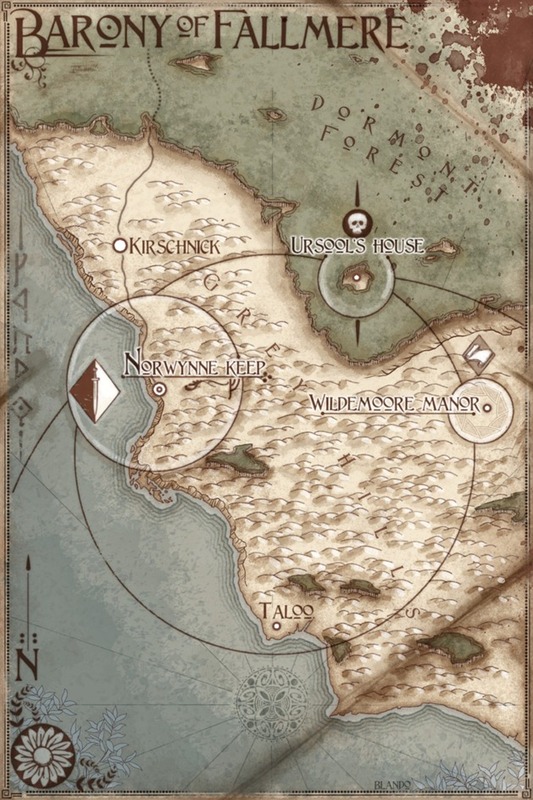 I'm always happy to find a map in a fantasy book. Following the journeys of the adventurers is part of the fun for me. Thanks. Credit goes to Jared. He does some nice work.